Baltimore emcee UllNevaNo and Virginia producer Logic Marselis haven't released a project together since their 2013 full length debut "The Protocol". With a highly extensive catalog from the two, they've always managed to continue to wave the MGNTK brand. Years later, they bring to the masses DUSTIN GRIME which is a conceptual album based on a fictional character that brings the rawness that hip hop fans fiend for. Clocking in at 14 tracks, the duo brings the listener into their world where UllNevaNo shows his range from lyrical dexterity to vivid storytelling over Logic's exceptional production. Put your wallabees on -- the DUSTIN GRIME sound quality is straight from the cassette deck. When it comes to living our everyday life, positive energy is the key ingredient to get through your day. In the midst of what's happening in the world, whether it's the crime infested news or negative content being posted on social media, the Baltimore and Virginia duo UllNevaNo and Logic Marselis are on a mission to block the nonsense out with "Good Vibes Only". Not only is this a soulful feel good record, it also displays producer Logic Marselis rhyme talents where he spits clever lines like "not trying to go back and forth like suicides". The record is assisted by the strong harmonizing vocals of Baltimore's own Black Assets, who breathes life into the song that leaves you with peace and prosperity. GOOD VIBES ONLY showcases Neva's range and diversity, displaying he can still rap very well while giving a positive message. ullnevano x logic marselis "OFF-WHITE"
The crazy amount of work UllNevaNo and Logic Marselis has always been inspiring and appreciated, with DUSTIN GRIME dropping just around the corner in a few weeks, the acclaimed emcee/producer duo are back with another release titled "Off-White". Similar to Supreme Accessories, UllNevaNo infuses coveted street wear pieces with hip hop, paying homage to the ever so popular Virgil Abloh blending the dust with the luxurious. Neva tramples over Logic Marselis soulful dynamic soundscape that sounds like someone belongs in a straight jacket. Making a bold statement, this is just a prelude to the wordsmiths rhyme display for DUSTIN GRIME. When it comes to shifting and growing as an artist, Norfolk, Virginia producer/emcee Illien Rosewell has proven throughout various projects ranging from A DIFFERENT H-ART, SUPREME BEING 2, to now with his latest musical work of art titled A DIFFERENT AGGRESSION. This project shows his dedicated prominent fan base that he can do it all by providing a range of boom bap that pushes forward the current landscape. With the project produced entirely by Unorthadaks, in the grand scheme of things, Illien self consciously informs listeners that he has the "it" factor. Self proclaimed Willie Dynamite, Illien shows his range of style changes on ALL TERRAIN, while making bold statements with lines like "if it ain't about money, I ain't investing it." Not to be mistaken with the popular DMV footwear in the cold seasons, Illien stomps thru Unorthadaks warped hard infused production on ACG, letting his competition know that anybody can get it in the sport of rap music. A DIFFERENT AGGRESSION captures moments that the average listener can appreciate, and if you're a day one fan, you definitely need to add this to your extensive catalog of Rosewell releases. Press Play On The Picture To Listen. It's been 2 years since Virginia natives logic marselis and illien Rosewell released their collaborative effort SUPREME BEING. With a couple of loose end projects respectively under their belts, the producer and emcee duo are back with a 2019 sequel that promises to cater to the Lo-Fi/Boom bap hip hop heads alike. The project kicks off really slick with GAME CHANGER and immediately you know your ears are in for a treat. Rosewell is worldwide known for his production, but in this case he's actually nice with the rhymes, gliding over Logic's signature soundscapes with punchline after punchline that will make the listener twist their face like a they have a toothache. Illien gets a bit personal and touches on how important time is on the horn driven WING SPAN. He's trying to figure out his purpose with music and standout in a world where trolling in today's society is the most strategic way to become successful. His sharp bars hits home with lines like "trolling online, trying to be 6ix9ine, until the read the headlines, that says 6ix9ine, gets time!" SUPREME BEING 2 is a straight to the point dense arrangement of beats and rhymes, from sample heavy records such as CORRUPT WORLD, and HINDSIGHT. This album serves as further prove that raw hip hop lives in Virginia. New video from Yung D’ The Pilot off of his latest album “ORF” The visuals for “Give It Up” are shot by Christian Lovechild capturing the rare fast pace lifestyle of the Norfolk, Virginia artist. The full album produced by Illien Rosewell is available on all digital streaming platforms. Ullnevano appeared on Rap Is Outta Control Shade 45 this past Sunday on October 14, 2018 to chop it up with DJ Eclipse and DJ Rizz along with Durham artist Mark Steele. Before ending the show off the two emcees spit a few bars to let people know that this isn’t a game. Ullnevano kicks off the cipher first with heavy artillery. Check it out. Confidence is Everything 3 is out now on all digital streaming platforms along with a limited edition cassette available now in the gift shop. Everything that we do in life is a process from start to finish, and beginning to end. Now the question is depending on your skill level how quickly can you adapt and present an actual complete product. That's what comes to mind when listening to Virginia native producer Logic Marselis latest beat tape offering SILK DURAG. The project shapes as a metaphor to get those 360 waves it's a process that needs to be accomplished if your willing to put in the work to achieve said goal. The silent producer has been on a roll lately releasing a plethora of projects and he hints at no signs of letting up on the repetitive yet soulful "Unstoppable". Midway in through the project Logic finds himself experimenting with different sounds without compromising his signature drums and loops. "Chill" executes this very well, its subtle, relaxed, but still impactful. The VA producer proceeds to transition styles from laid back and smooth to hard hitting, hence "Silky" and "Timberwolf." SILK DURAG sets the tone for a perfect album that's a cozy piece to capture the fall season. Expect more from the producer later this year. 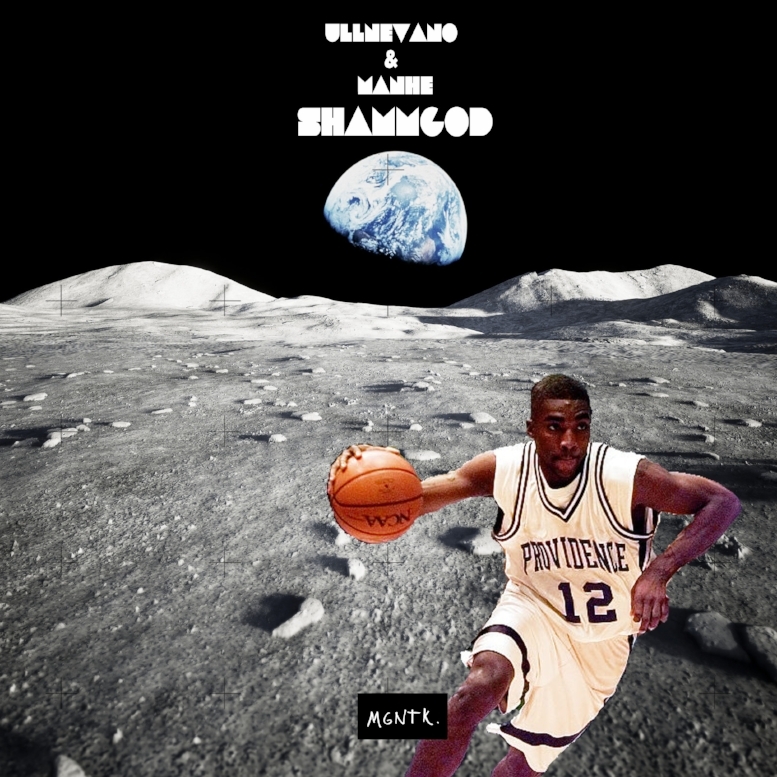 Baltimore emcee UllNevaNo and Virginia producer Illien Rosewell have been respectfully building up there catalogs with consistent projects such as SHAMMGOD and BEHOLD. The two collaborators are back with there third and final installment for CONFIDENCE IS EVERYTHING 3. The two artists organically crafted this album In the studio together which makes this piece of work sound like fresh boom bap live instrumentation. Running with the vintage basketball reference which Neva has been known for, "63 in Boston" starts off with a soundbite of Michael Jordan scoring 63 points against the Celtics during his rookie year. At first listen you know something epic is about to happen, weaving thru Illien's signature hard drums and a hook assisted by the producer himself Neva proves his consistency isn't coming to screeching halt anytime soon. Neva displays barbaric madness on the neck snapping "Chain Nets" after he let's wack emcees know that hes the "Humble Bad Guy". Not forgetting his roots that made him the hip hop artist that he is today, Neva pays homage on the soulful "99 Rawkus Logo" with clever lines like "Once the tracks on, I transform to a viscous killer, ghostwriters don't have a leg to stand on like Quentin Miller". CONFIDENCE IS EVERYTHING 3 is 8 records of well structured hip hop is all we need from this duo, and the chemistry shows throughout the album. The humble, consistent, low key producer, Logic Marselis of the MGNTK collective drops yet another masterful piece of work that can merge hip hop heads and gamers alike. Super Audio WORLD 2, draws inspiration from the SNES classic console. Logic takes listeners on a journey with each record as if your trying to accomplish a 16 bit game level which fits the soundscape perfectly. The project is respectfully introduced with "Donut Ghost House" that's filled with over laying ghostly haunting vocals meshing with Logic's signature drums and dropouts, which is quite essential in beat culture nowadays. The raw but ever so bright "Yoshi's Island" is accompanied by subtle horns and chopped high pitch keys. At first listen it's like your going through a kaleidoscope type level from the beginning to the conclusion of the record. The standout instrumental is "Star World" which sounds like it was made for a gamer with it's hard drums and its glitch effect keys that would make the perfect sound canvas for a bonus level. Clocking in at 10 tracks each record is referenced to the names of each level of the early 90's video game classic with names such as "Donut Plains" or "Sunken Ghost Ship". Super Audio WORLD 2 brings back a sense of nostalgia that the listener can actually enjoy. new joint from yung d' the pilot called "ORF" . a very powerful piece of music produced entirely by illien rosewell. get familiar. tags / yung d' the pilot, illien rosewell, ORF, MGNTK, Different Color Sounds Production Co.
Producers tend to follow trends on what's popular or what's the wave at that moment with the hype of social media and how quickly the internet is moving. Fredericksburg, Virginia producer Logic Marselis still maintains his relevance among others by staying consistent and switching the style up almost to the point of nonrecognition. The latest beat tape LUNAR gives off a VHS vibe that Lo-Fi heads can truly appreciate. LUNAR sets the mood where you can play this while watching a movie with the sound off. Records such as "Goodness" is infested with calm strings and warped basslines. "LOVE" at first listen will register that it could possibly be an ode to his son who you can hear him blurting out the words MGNTK. It's a well thought out gesture from the Virginia native. LUNAR is a project where the mood is very mellow and is very different from his previous work that is hard hitting like SUPER AUDIO WRLD. Sprinkled with inspiring quotable soundbites from Virgil Abloh, this piece of work was created to uplift the listeners and creators who may have lost hope in today's microwave generation of music. Something a little different from today’s sound in music. Behold is a Lo-Fi experiment with tomorrow’s music elements rewired. The sounds and vocals are processed through various VHS players, cassette filters, and the SP-303 for retro warmth . Production by MANHE, Artisan, and Illien Rosewell. When it comes down to raw authentic boom bap hip hop, in the Baltimore producer community, there's only a few that's trustworthy of carrying the torch. Da God Knowledge, is the latest producer that has been added to the MGNTK collective and is bringing new listeners with his first offering titled "Sounds of Upton". The BMORE native is painting a picture of soundscapes that grants listeners the privilege of taking a journey through west side Baltimore. Sounds of Upton is a collective of beats, b-sides, and rare remixes that Knowledge has been sitting on for years, and finally the time was right to unearth these gems that can potentially be considered classic works. With a catalog of instrumentals that would make any purists drool, Da God Knowledge has plans on releasing an arsenal of work in the very near future. New Joint From Yung D' The Pilot Produced by Logic Marselis. Check Out More Of Pilot's Releases On SoundCloud Here. This past week Logic Marselis was on TrueOGSeries Podcast. On this episode, Logic speaks on his new project, "Super Audio WORLD", his journey becoming a Hip Hop producer, and the historical impact of the Mos Def & Talib Kweli classic album "Black Star" plus much more. New Freestyle From Illien Rosewell Released This Week On His SoundCloud. This Joint Could Very Well Be An Album Cut On A Premiere Album. Illien Is Just Now Warming Up. Stay Tuned.